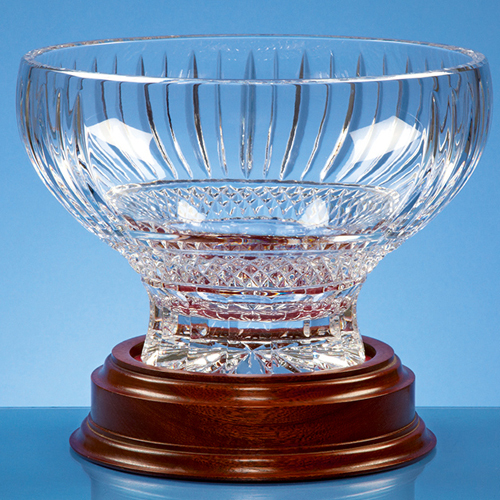 The lead crystal heeled presentation bowl has diamond cut detail around the bottom of the bowl and has a large engraving panel at the front. It can be personalised with any crest, logo or wording for a presentation gift that will be displayed with pride. The wood base compliments the bowl, this should be ordered separately if required.